Dinner parties have always been a part of civilized society and now have evolved into one of the best and most wholesome ways to get the family and friends together. Apart from formal dinners the seating at a dinner party or even a normal meal does not hold much importance. In these circumstances comfort takes precedence over formalities, hence the move away from formal seats and seating arrangements. This has led to the trend of having large tables and benches instead of normal dining chairs. This trend seems to have its obscure origin in Italy where the normal custom of the family is to have their meals together even now in this fast paced world. Finding time for a meal is very important hence the idea of getting the family together for it. This idea is translated mostly into parties thrown for people who are close to you. Using extendable dining tables with benches is the best way to go in these circumstances. 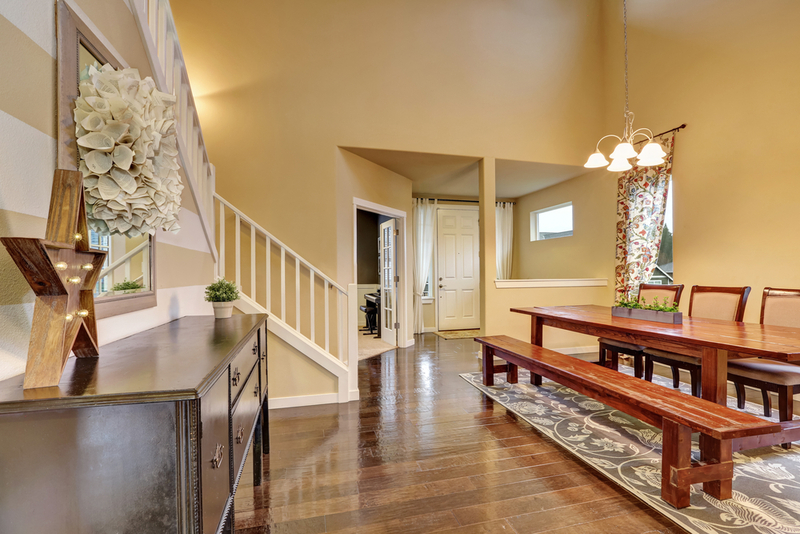 This design style holds its own place very well, even in your dining room. To achieve a more refined touch, you can add sofa chairs to the head and foot of your table and keep the benches on the sides. This is ideal for family meals and when required, can cater for an amazing amount of guests. Extendable dining tables with benches are ideal for garden parties and barbeques or buffet bashes. The design of your furniture should complement the style of the meal and nothing projects warmth and closeness better than a meal shared in a comfortable atmosphere with all your loved ones surrounding a table laden with food.